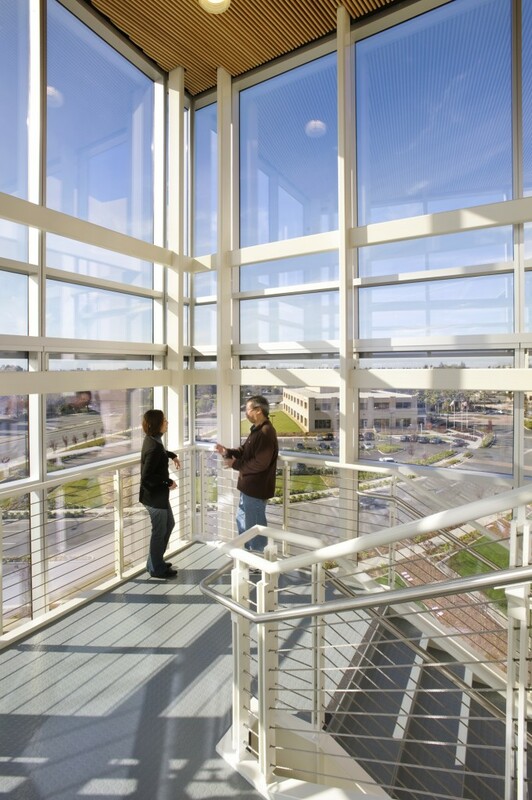 A high-tech sustainable engineering campus focuses on innovation and collaboration. 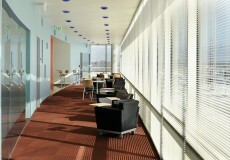 The design of Building 10 helps the campus cohere. 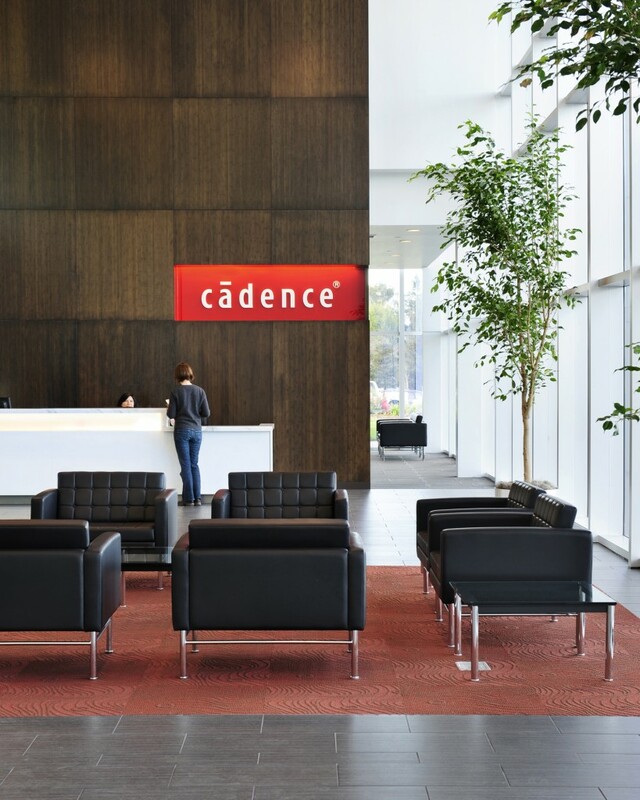 Cadence Design Systems, a leading supplier of design automation products and services, has sales offices, design centers, and research facilities around the world. 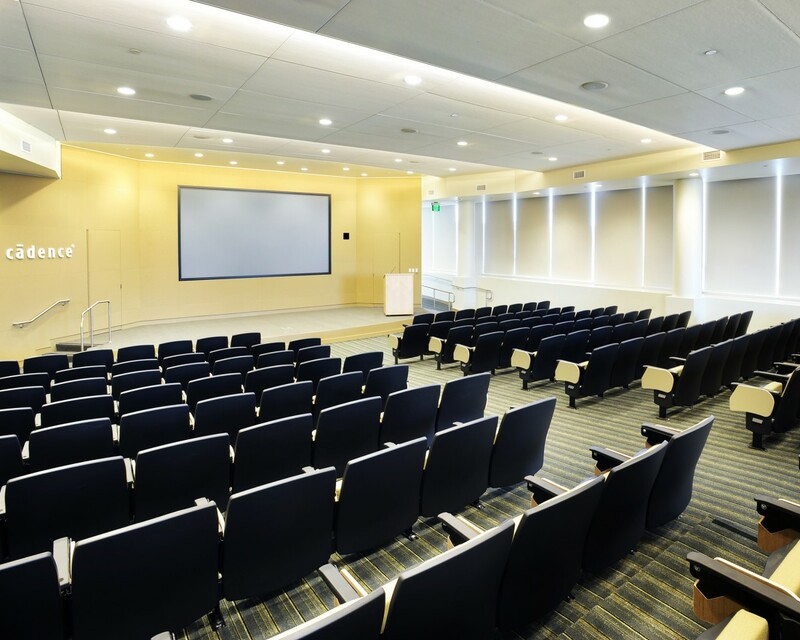 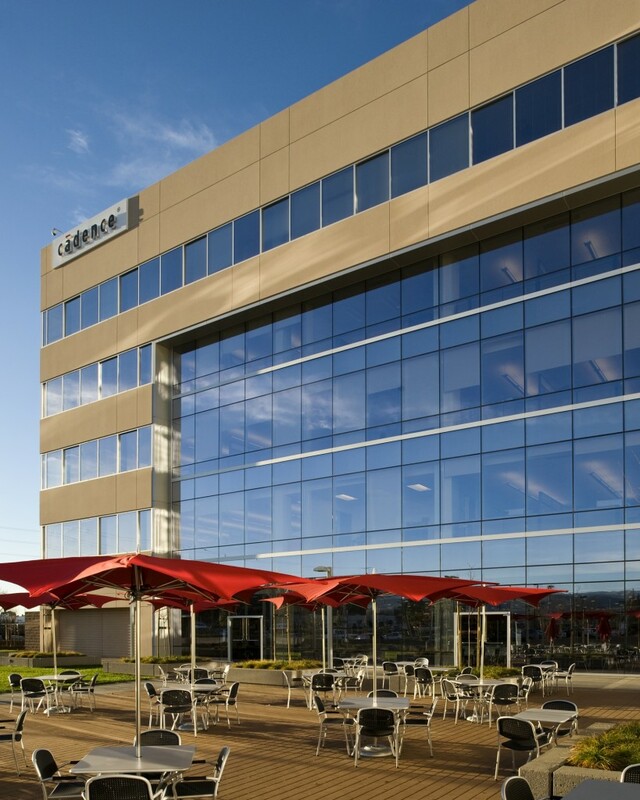 RMW has worked with Cadence since 1997 on dozens of projects, including a redefinition of its work environment, its workplace standards, and the renovation and construction of major facilities. 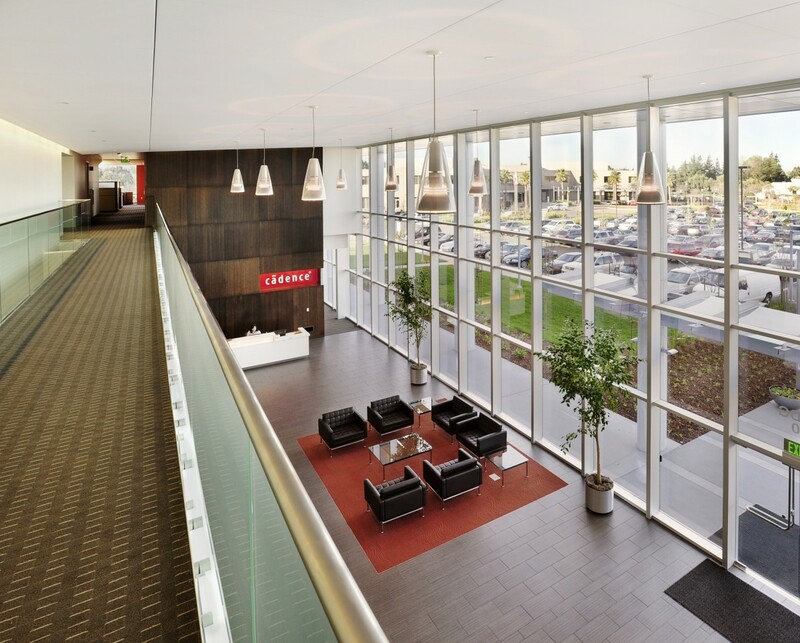 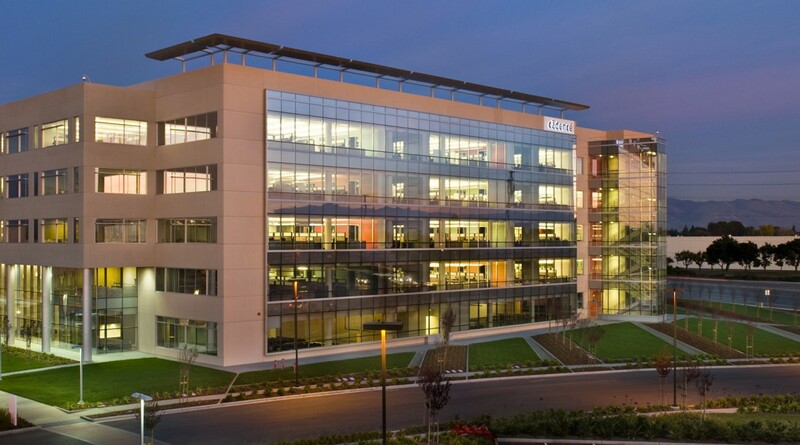 RMW’s design work for Cadence includes a new 200,000-square-foot, five-story building which serves as the centerpiece of the company’s 785,000-square-foot San Jose campus. 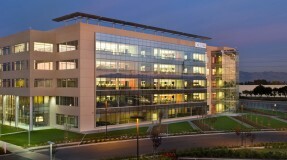 Building 10 houses engineering and product development labs and offices, a cafeteria, and a 173-seat sloped-floor auditorium. 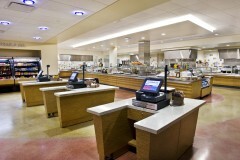 In order to shape a cohesive campus, RMW developed a vocabulary of entries, signage, and visual markers linking existing and new buildings. 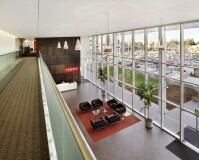 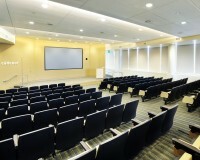 Sustainable strategies include extensive natural daylighting, reuse of recycled materials, and low V.O.C. 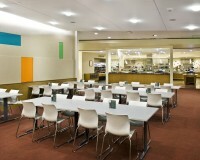 interior materials for improved indoor air quality. 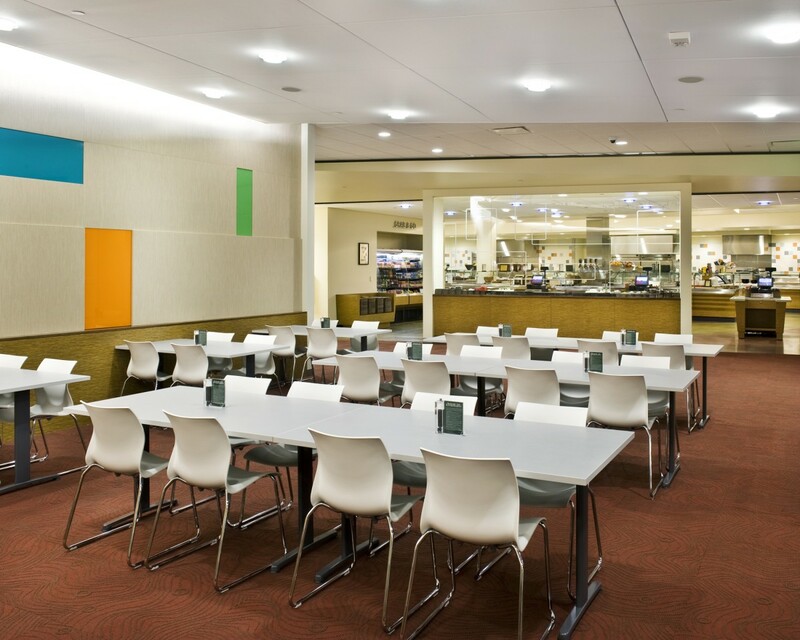 Campus amenities such as bicycle storage and changing rooms encourage alternative methods of transportation.